There is certainly a lot of hue and cry about what solar panels can do for you. It is undoubtedly a great invention because it has its major advantages. While some people vouch by this technology saying that solar panels will cut down on energy bills, there are some people who believe that these panels will not solve our energy problems. Now why do some people say that? It is quite an understandable fact that to get optimum performance from your solar panel you need to set it in a place where the sun will smile upon it all the time. But is that all? It is true that solar energy will provide you with enough electricity to power your homes and offices. But what do you do when there are cloudy days? The heavy investment that you made with the panels will fall to waste. You cannot give up the use of traditional electricity altogether but keep it as a reserve at all times. No real studies have ever been conducted to prove that using these solar panels is entirely safe. The panels have not been around for that long. 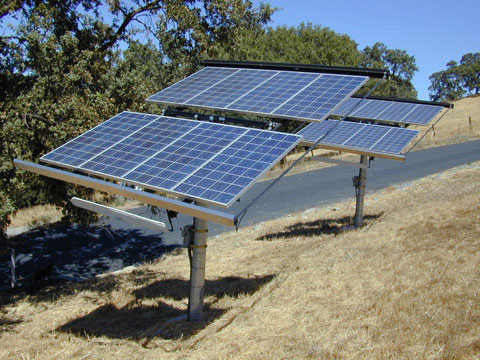 Utilizing solar panels regularly on a large scale is definitely a matter that is still under serious research. The solar panels have been created by the scientists by using just a small fraction of their knowledge and brains. Hence the full effects of these panels are still a great cause for study. It is believed that Asia is one of the largest users of solar application. But the disposal of the harmful elements emanating from the constant use of these panels is just not taken care of. A massive amount of fossil fuels are used up if you want the solar cells to work. Huge amounts of mercury and chromium are dumped into the environment and nothing is actually done to prevent that situation. When US discovered the harmful effects of using these solar panels they also came up with solutions that make use of recycling the waste products too. If the discarded waste cannot be recycled then they have devised methods to dispose of it. The panels must be carefully recycled or they will harm the environment. Anyway, how far these recycling methods will work is food for thought. The natural radiation levels that emit from the sun are also extremely dangerous. So it proves that while installing solar panels in our home is a good idea, but it is not the ultimate solution to energy problems.